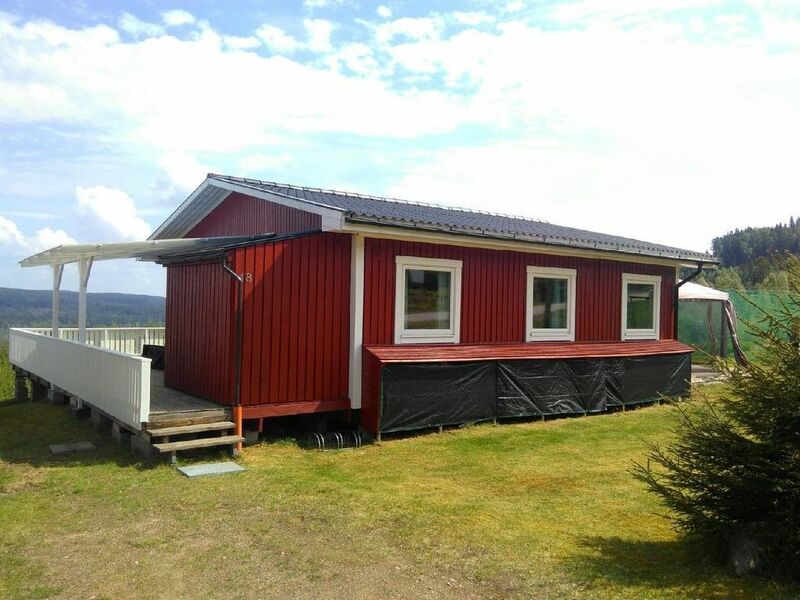 Holiday house in Värmland with good facilities in a small idyllic cottage area with stunning views of the lake Rottnen. The house is located above the lake and can accommodate a 4-6-member family. A spacious terrace with barbecue invites you to spend some time outdoors. Inside, the house offers bright walls as well as new doors and windows. Laminate flooring in the bedroom. In the living room invites the TV corner with German, Swedish and Norwegian channels and the fireplace for cozy hours. A glass door leads to the terrace. The extensive kitchen equipment offers the possibility for self-catering at the cozy dining group. The house has 3 bedrooms, one with double bed and two with bunk beds. A bathroom with shower and a bathroom with tub and washing machine complete the facilities. For holiday home use in the outdoor area include tennis court / soccer field, chess and a shared barbecue area of ​​the cottage area. The wooded nature invites to extensive hikes and to collect berries and mushrooms. A 700 m long sandy beach invites you to swim in the lake Rottnen. The well-known ski resort Ski Sunne is only 5 km from Stugcenter. Final cleaning: once per object costs in the amount of 70 EUR (optional). Bed linen: to rent per person per week for 15 EUR (optional). Towels: to rent per person per week for 5 EUR (optional). Fantastiskt läge och huset var mycket välplanerat och hade i princip allt. Dock inga skidspår angränsande till huset, men med bil några km kom man till Rokkmakkstugan med utbud av längdspår. Rekommenderas varmt. Sunne is the ideal starting point, whether you are heading north, Torsby, Hagfors, Eksharad or east towards Arvika and south towards Karlstad. The border with Norway is about 65 km from the house. The capital of Norway Oslo is about 180 km away.